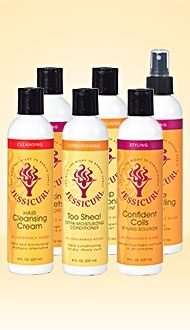 Try Before you Buy – Jessicurl Products for your Hair! Follow the links below to order your first sample of a product for free. You may receive one free sample of a single Jessicurl product with each paid order. If you would like to receive multiple samples of a product, or if you’d like to sample more than a single product on this order, you may purchase additional sample packets for only $1.50 by visiting their Samples Page.